Green Tea delivers some of the most powerful antioxidants found in nature. One serving of Green Tea Fat Burner has higher antioxidant activity than one serving of most fruits and vegetables. Green Tea Fat Burner delivers significant antioxidant protection in addition to weight loss support. 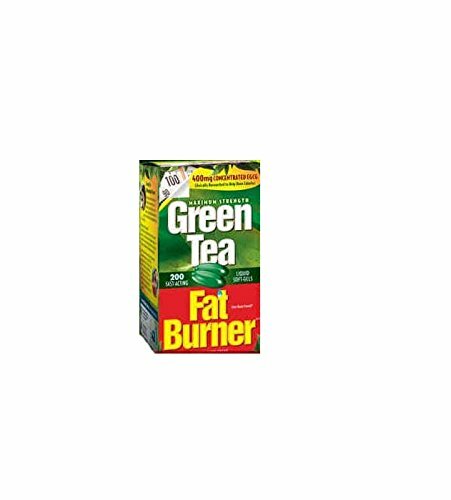 Green Tea Fat Burner increases your calorie burning ability in fast-acting Liquid Soft-Gels. This product has been formulated to deliver a highly concentrated form of Green Tea Extract combined with caffeine that, while not literally “melting” fat off the body, has been shown to: Increase calorie burning (thermogenesis) Kick-start your fat burning ability (fat oxidation) Supply powerful antioxidant protection When used in conjunction with a reduced calorie diet and exercise, this product can help you achieve your weight loss goals. Green Tea Extract – delivers a wide range of health-promoting nutrients, including superior levels of EGCG. EGCG – the most powerful and most abundant antioxidant found in tea leaves. This product contains a full 400 mg of EGCG per maximum daily dose. Essential Vitality Boost – a blend of botanicals that contributes powerful phytonutrients. If you have any questions about this product by Applied Nutrition, contact us by completing and submitting the form below. If you are looking for a specif part number, please include it with your message.